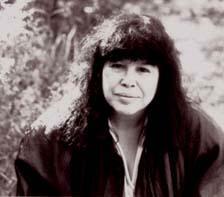 Marge Piercy (born March 31, 1936) is an American poet, novelist, and social activist. Piercy was born in Detroit, Michigan, to a family deeply affected by the Great Depression. She was the first in her family to attend college, studying at the University of Michigan. Winning a Hopwood Award for Poetry and Fiction (1957) enabled her to finish college and spend some time in France, and her formal schooling ended with a M.A. from Northwestern University. Her first book of poems, Breaking Camp, was published in 1968. As of 2004 she is author of seventeen volumes of poems, among them The Moon is Always Female (1980, considered a feminist classic) and The Art of Blessing the Day (1999), as well as fifteen novels, one play (The Last White Class, co-authored with her third and current husband Ira Wood), one collection of essays (Parti-colored Blocks for a Quilt), one nonfiction book, and one memoir. Her novels and poetry often focus on feminist or social concerns, although her settings vary. While He, She and It, for instance, is a science fiction novel that won the Arthur C. Clarke award, City of Darkness, City of Light is set during the French Revolution. Other of her novels, such as Summer People and The Longings of Women are set during the modern day. Yet all of her books share a focus on women’s lives. Piercy’s poetry tends to be highly personal free verse, and often addresses the same concern with feminist and social issues. Her work shows commitment to the dream of social change (what she might call, in Judaic terms, tikkun olam), rooted in story, the wheel of the Jewish year, and a range of landscapes/settings. She lives on Cape Cod, Massachusetts with her husband, Ira Wood. Do you have any comments, criticism, paraphrasis or analysis of this poem that you feel would assist other visitors in understanding the meaning or the theme of this poem by Marge Piercy better? If accepted, your analysis will be added to this page of American Poems. Together we can build a wealth of information, but it will take some discipline and determination.